The main sewer line infrastructure is the most important part of your home’s entire plumbing system. But the sewer pipes are hidden behind walls and underground and so it can often be difficult to detect a problem with the sewer line that needs sewer repair services. When a problem does appear it is important to get an evaluation from a professional NJ sewer contractor right away to prevent a small problem from becoming a big problem. Usually a sewer problem will appear as a sewer clog that cannot be cleared by the usual methods or is cleared quickly but clogs again within several months to a year. If your main sewer line clogs more than once a year, it is likely worth the time and money to have a sewer pipe repair contractor check your sewer line with a sewer video inspection camera. 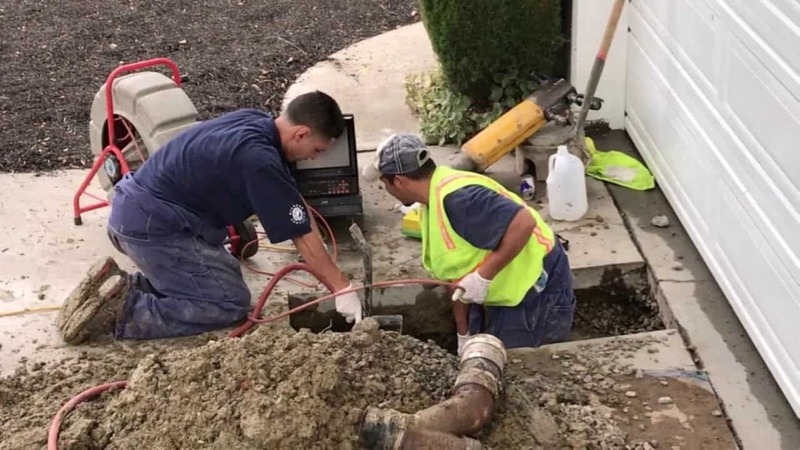 New Jersey sewer service repair contractors will be able to put a sewer camera to view the inside of the sewer line and determine if there are any sewer cracks, sewer leaks or broken sewer pipes that are causing these sewer blockages and need repair. A sewer crack can expand requiring sewer replacement of a portion of the sewer pipe thus its best to find the problem as early as possible so the repair can be done quickly and easily. Calling an experienced trenchless NJ sewer service contractor right away to investigate your issue is key to saving money on sewer repair or trenchless sewer replacement. Call us today at (201) 645-0888 to talk to a knowledgeable sewer contractor in New Jersey. As NJ sewer repair contractors we specialize in all types of sewer repairs, sewer maintenance and sewer replacement. We use the latest technology of sewer camera inspection to find the exact problem in your sewer line and then use the most effective sewer repair techniques to fix the problem in affordable way for the long term. We have many different sewer repair techniques we can use to fix any sewer problem you have in an affordable way for good, so you are not continually hassled by sewer blockages or sewer line breaks. There are many different reasons that you could be having problems with your sewer line, from a cracked pipe, tree roots seeking water that grow into the sewer pipe cracking it, leaking joints, collapsed sewer pipes, shifts in soil that cause a sewer pipe to move or fall slightly creating a sewer belly etc..
A sewer repair company will be able to diagnose your sewer problem and have experience with different types of techniques to provide the most affordable sewer solution for you. We have experience with all of the latest sewer techniques used in NJ, including, sewer camera inspection, sewer water hydro jetting, trenchless sewer repair, sewer excavation, sewer relining, cured in place pipe lining (CIPP) and more. Call Us Any Time at (201) 645-0888 for an Experienced Professional Sewer Line Repair Contractor in NJ. We are a sewer contractor serving bergen clients for many years. If you are looking to get a price for sewer repair with a cost effective quote for sewer repair or replacement, we are local Bergen County New Jersey contractors that can provide you with a free quote and advice for every sewer line or underground sewer pipe repair that you may need. Our sewer repair work is guaranteed. Any sewer repair job, big or small, is fully guaranteed so you have the peace of mind that you don’t need to worry and deal with sewer line problems and repairs. Local bergen county nj clients very often ask us if sewer pipe repair or main sewer repair requires an inspection from the local town or municipality and the answer is that it really depends how bad or severe the repair of the sewer line is needed. 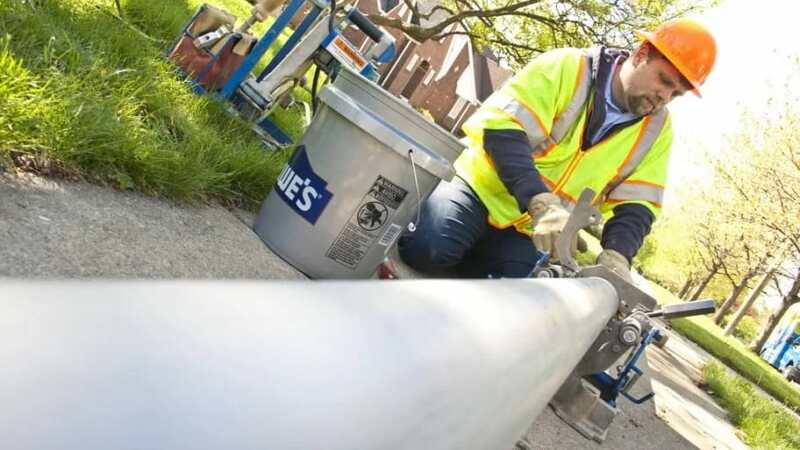 If its just a local small sewer pipe repair that can sometimes be only 2 or 3 feet to be repaired, usually if done locally by digging is considered a small 1 day job that is considered pipe repair and most of the time does not need filing for a permit or to go with the inspector/inspector process from the town. Of course digging around the property with any piping, sewer, gas, drainage, main water line, repair, replacement or installation will require the pipe inspection location and consideration of close items nearby like tv cables, electrical wires and telephone pipes that transfer data to be away in order to prevent damage to other utility pipes and services that other service providers are responsible for.